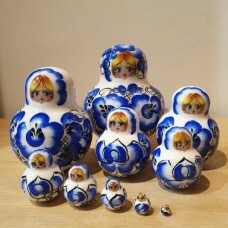 A small selection of Special and unusual Russian dolls. 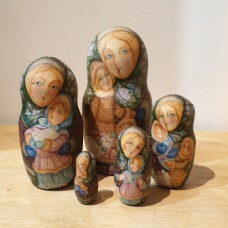 Igor Belibin was a late 19th Century illustrator and Stage set designer with a distinctive style. 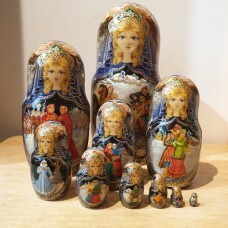 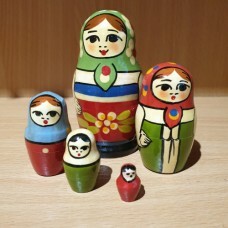 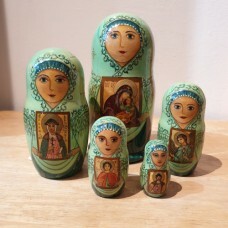 Th..
5 piece Russian Doll "Icons"
An unusual theme for a Russian Doll - this work has great detail in the copies of various traditiona..
From the Semyenov Toy factory located near Nizhny Novgorod in central European Russia this doll is a.. 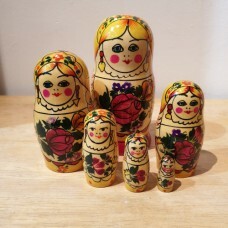 This is a genuine original Russian Doll produced at Toy Factory No. 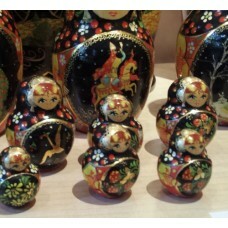 1 in the town of Zagorsk (now Se..